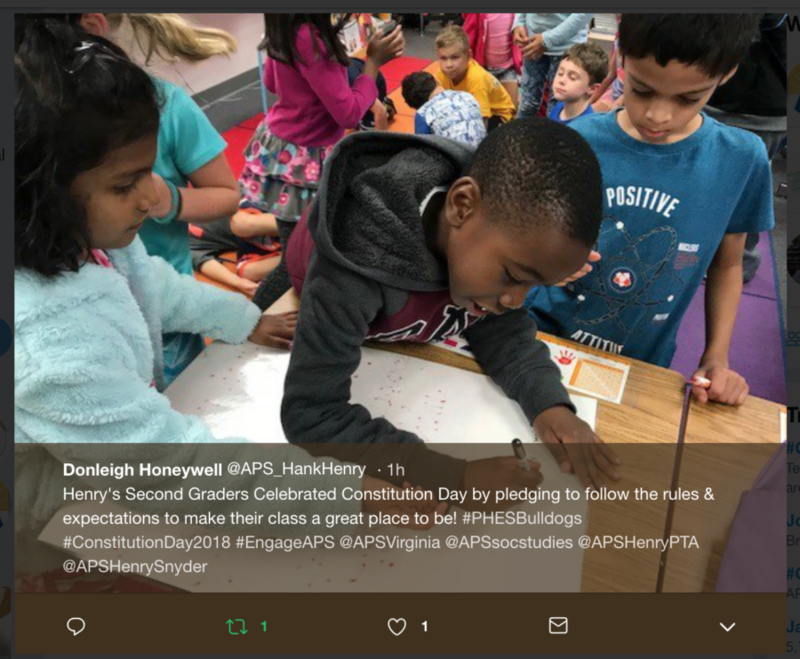 The APS Social Studies Program serves to engage students in 21st century education through meaningful and challenging experiences that will allow students to understand the relevance of history and the social sciences in our global society. 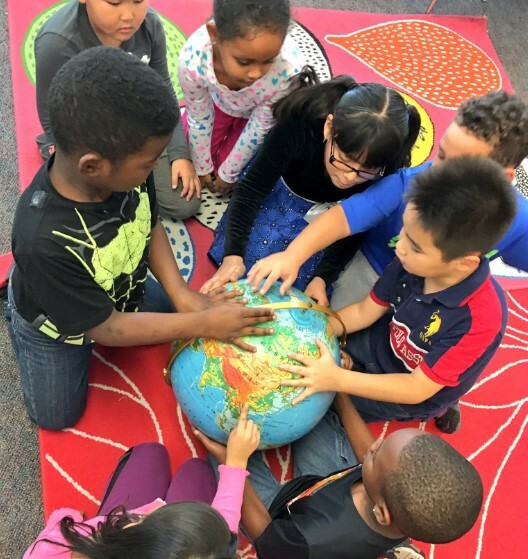 All APS students will have the social studies knowledge and skills to become informed, responsible, and reasoned citizens of a democratic society and an interdependent world. 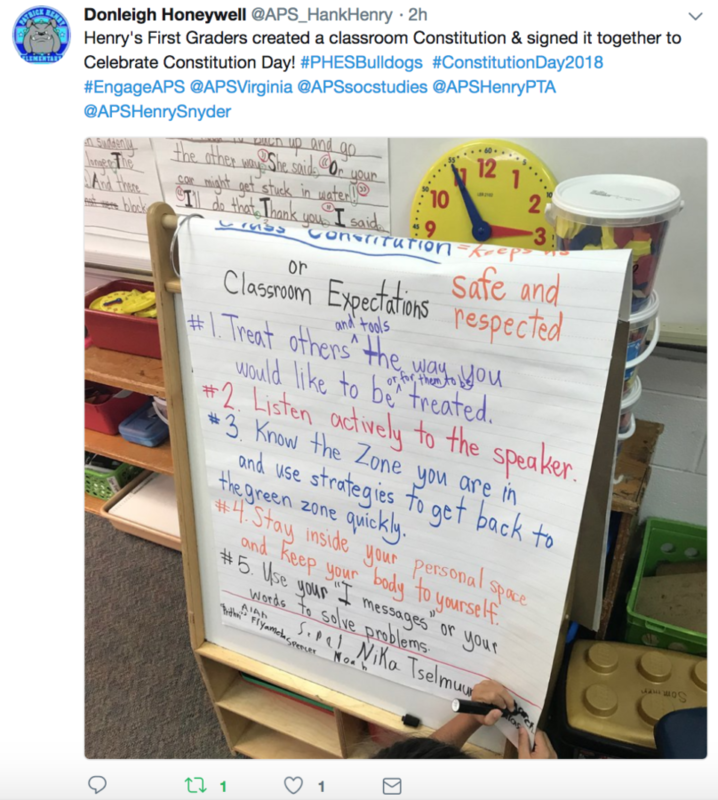 September 17 is Constitution Day and Citizenship Day! This commemorates the September 17, 1787, signing of the U.S. Constitution. 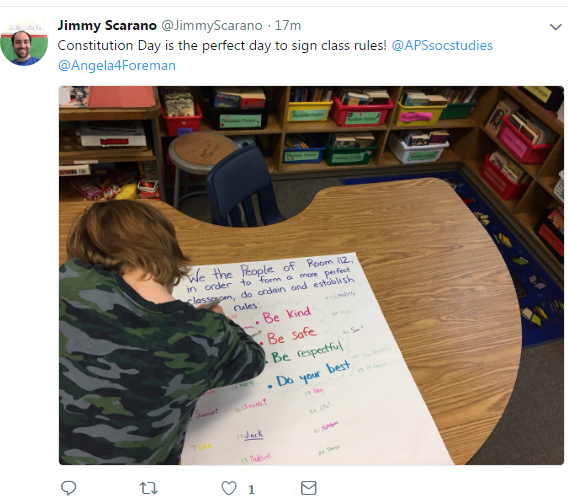 In recognition, Congress has mandated that every educational institution receiving federal funding hold an educational program about this seminal document. 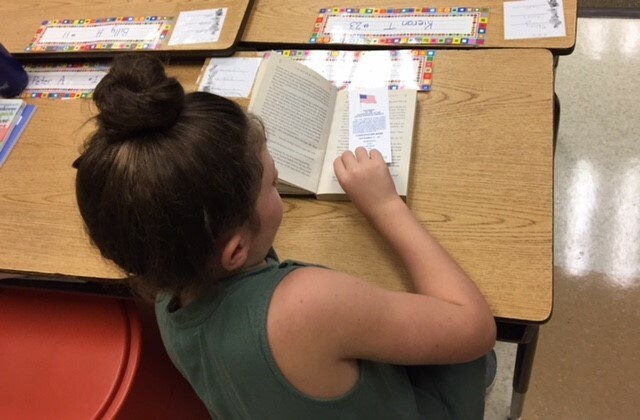 We are so proud of the work that our Social Studies teachers are doing around teaching this seminal document. 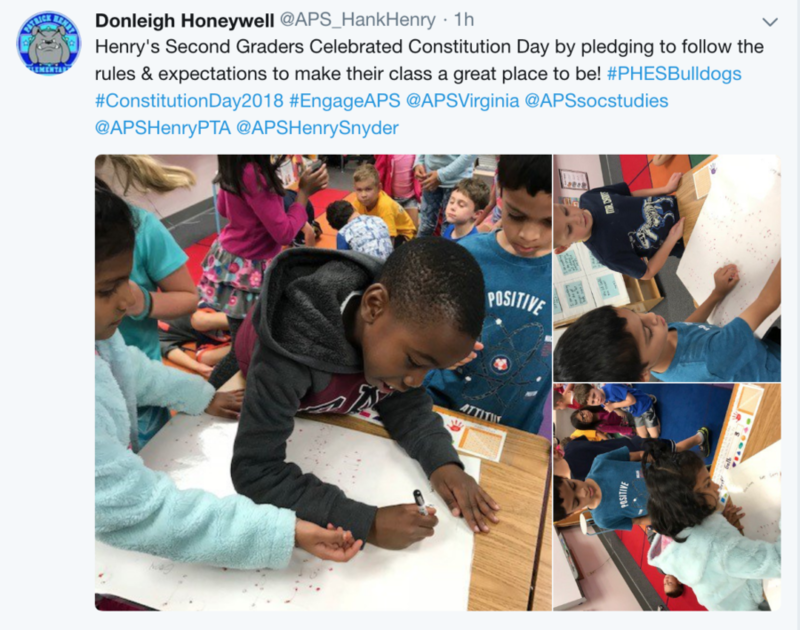 Below are some images of teachers and students engaging in learning around the county in celebration of our Constitution! 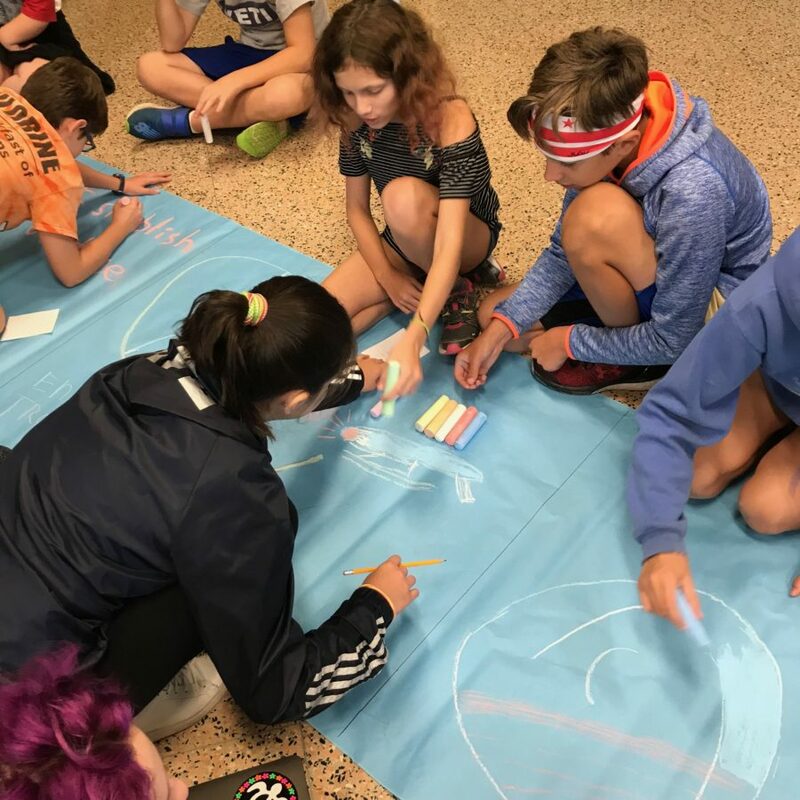 HB Woodlawn students created “sidewalk” art to depict the Preamble to the Constitution. View them in action on Instagram! National Archives and Records- Docs Teach the Constitution -This resource includes 20 primary sources that discuss constitutional topics, as well as 17 activities for teaching about the constitution. 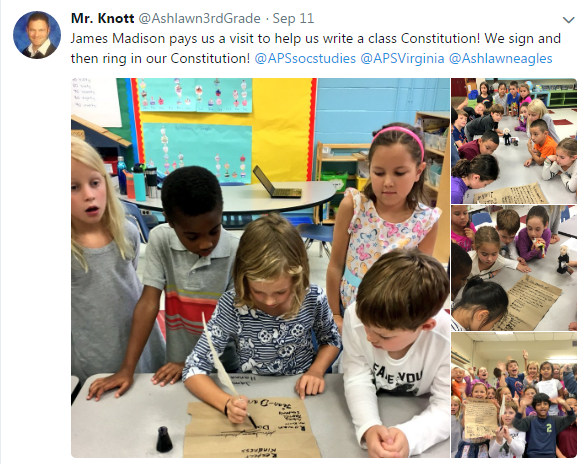 National Constitution Center– Lessons, activities and resources related to Constitution Day! 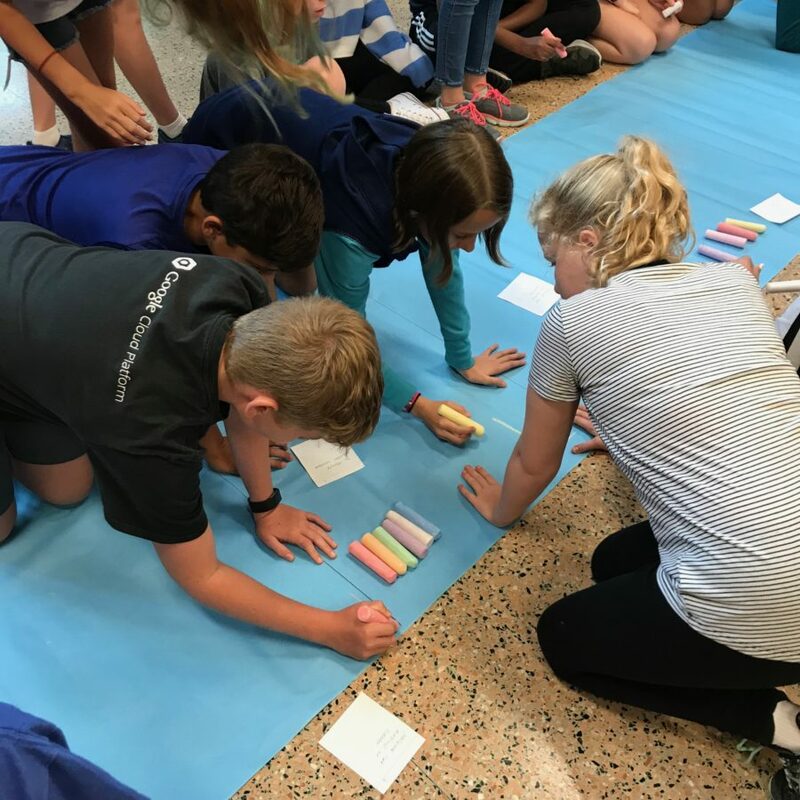 Discovery Education Virtual Field Trips for Constitution Day –This Constitution Day, go beyond the classroom with free virtual field trips to the U.S. Senate, the Library of Congress, and the National Archives. 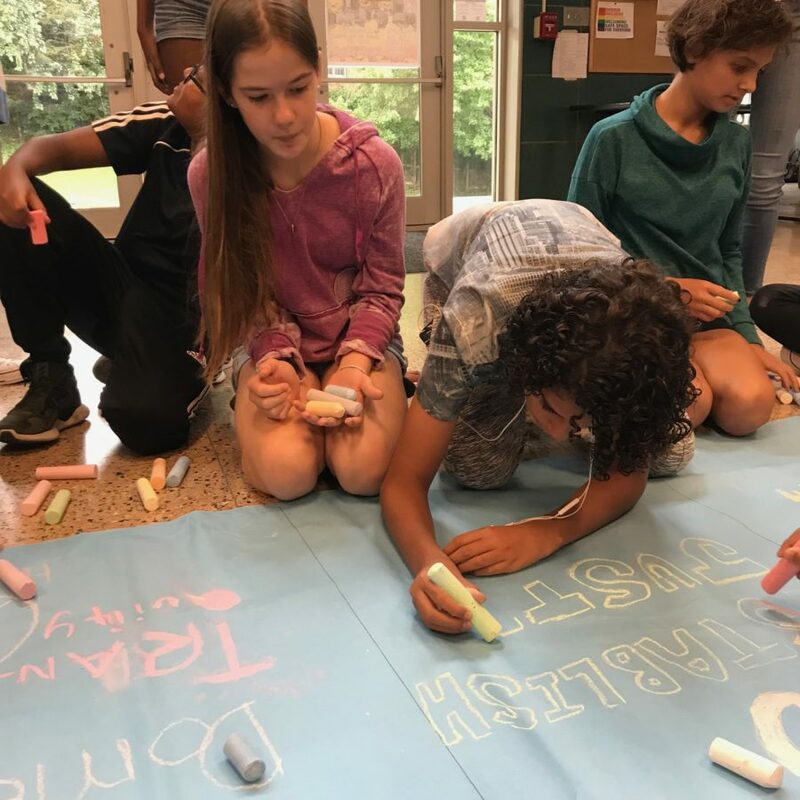 Through these exclusive 30-minute experiences, students will learn from experts about the history and far-reaching impact of the Constitution on the United States today. 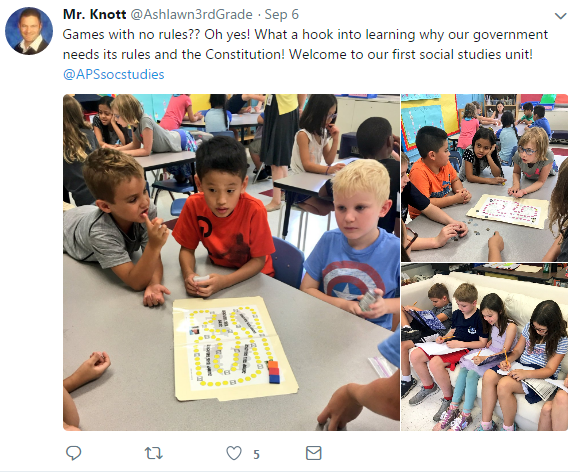 Social Studies Techbook is a core resource that integrates primary sources, digital media, and interactive learning to engage students in inquiry-based processes that strengthen literacy, critical thinking, and citizenship skills. Start a free trial today to dive into these resources and more! To access you will sign up for a free trial.